Happy, Happy Monday! I'm so excited for today's interview. The winner of WHAT'S LEFT OF ME is LORI LEE! And the winner of UNCONTROLLABLE is LAURA HOWARD! 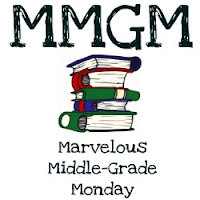 Today I’m so very excited to be a part of Shannon Messenger's (You know, the founder of Marvelous Middle Grade Mondays) blog tour and to help her celebrate her debut as an author. It’s always so special to share a book written by a friend. 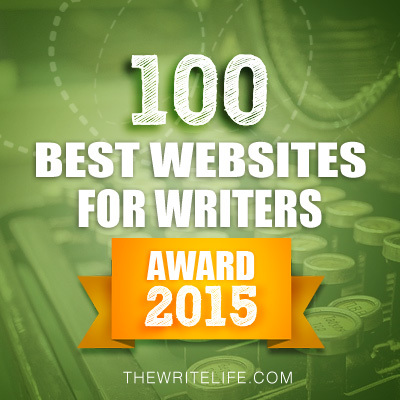 It’s one of the reasons I love blogging. 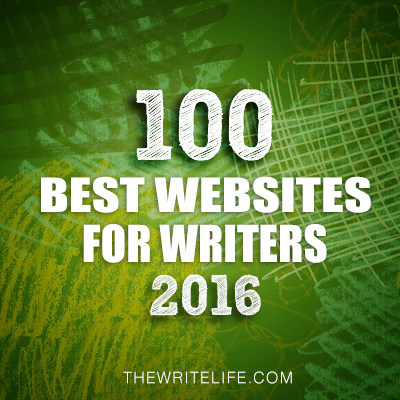 I’ve been following Shannon’s blog for years and watched her road to publication. 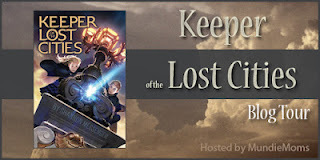 Her book KEEPER OF THE LOST CITIES is being released tomorrow. I loved KEEPER OF THE LOST CITIES. Fantasy is my favorite genre and Shannon did not disappoint. She shares the world of elves in a way nothing like you think of elves. Her world building is fantastic with totally new modes of transportation, such interesting settings, and a wide range of unique powers that elves can possess. Sophie, her 12-year-old main character, is mature for her age because she’s so much smarter than kids her age, yet a vulnerable character, who has to deal with so much in learning who she is and her place in her new world. I can’t say how much I love this and I’m so excited to share this book with you today. Hi Shannon. Thanks so much for joining us. Happy Debut! So excited to celebrate it with you! WELL, I’m 5’6 with brown eyes and I enjoy long walks on the beach and…. Wait, wrong question! J Really, I’m rather unexciting. I’m a nerd who eats far more candy and cupcakes than any adult ever should and thanks to my crazy writing schedule I don’t get out of the house much. I grew up thinking I would study art, then switched to a film major in college to study screenwriting and spent a couple of years discovering the many reasons why Hollywood and I were terrible for each other. Eventually I figured out that writing books was a perfect fit and I’ve been writing ever since. I bet the screenwriter has helped you as an author. I loved the world building in KEEPER OF THE LOST CITIES. You created such interesting modes of transportation like the pathfinder and the eurypterid (a scorpion-like creature that pulls a carriage along the water), fantastic buildings designed from crystal, and fascinating powers like Sophie’s telepathic powers, inflictors (can inflict pain), descryers (can sense potential), and technopaths (a talent for working with machines), which are just a few of the powers elves can possess. Share with us your world building process and any tips for creating a fantasy world. Awww, thank you! *blush* I wish I had some sort of FANTASTIC WORLD BUILDING SECRET to share, but really? It’s just a lot of work. A LOT of work. I spent almost 2 years building KEEPER’s world, filling idea journals with notes and snippets and sketches. And then I sat down to write the story and realized there was a TON of stuff I still needed to figure out. I guess the best advice I can give is to a) always push beyond your first (and most obvious) ideas and b) question everything and make sure that if someone asks you why you made a certain choice that you have a real, legitimate answer behind the decision. Wow! You spent a lot of time on the world building. Pushing beyond the first ideas is such great advice. I’ve read that Sophie is in part like you. Tell us a bit about Sophie and how she’s like and different from you? Well, she’s way braver and smarter than I was at her age (okay, fine she’s smarter and braver than I am now). Twelve was also the prime age for my terrible awkward phase, so I wasn’t nearly as cute as she is. But I did give her my nervous habit. We both tear out loose eyelashes when we’re stressed. And we both can’t sleep without a blue Hawaiian-shirt wearing stuffed elephant named Ella. Ha! I think we all wish we were as brave as our characters. That's cool that you share somethings with Sophie.You have so many other great and unique characters. Sophie’s friends Dex, Keefe, Fitz, Fitz’s dad Alden who guides her, her guardians Edaline and Grady, and her telepathy mentor Tiergan are a few. How did you keep track of all your characters and who they are? I think it's harder with fantasies to keep it all straight because so much is created by the author. I know I have lists of things I need to keep straight. You’ve also got a YA book, LET THE SKY FALL, being released on March 3, 2013. How have you been juggling the demands of writing both books and the deadlines for the sequels? Um… I don’t sleep very much and I rarely have time to watch TV. For realz. My deadline schedule is INTENSE—especially since I’m not as fast of a writer as I’d like to be. It helps that I don’t have kids or a day job—in fact, I doubt I could handle the schedule if I did. But I pretty much work for at least a few hours every single day, and most days I work a 10-12 hour day between writing/revising, blogging, emails, and other marketing related things. Which is why its such a good thing I love my job—and that my husband is so incredibly supportive. I already don't sleep much or watch TV. I hope I can handle it all if I get a publishing contract. As an aspiring author we’re told not to break the rules because it’s so hard to find an agent and get published. Yet you’ve broken the word count rule (not complaining at all about that because we get to read more awesomeness) in creating a story that’s 488 pages. What made you take the bold step of breaking this rule? Well, for one thing, my word count really isn’t THAT long for middle grade fantasy—or so I’ve been told. But I did worry about it before I queried, wondering if it would make things more difficult. I didn’t cut it back though, because I firmly believed that the story needed to be that long. It’s a really complicated plot in a really complicated world. In fact, one of things my agent had me do before we shopped it was to ADD additional description and clarification. So I think that’s really what it comes down to. Focus on what’s right for THE STORY. Then the rules won’t matter. I agree that word counts can be longer for fantasies. And awesome that your agent gave you the freedom to expand what needed more info. Because as an aspiring author there can be word count pressures. You’ve had a pretty amazing experience in obtaining your agent Laura Rennert and getting published. 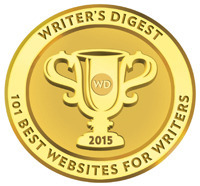 Share how Laura became your agent and your road to publication. Oh boy, that could end up with a very long answer. The Cliff’s Notes version is that Laura was one of several agents I pitched to at the SDSU Writer’s conference. They’d all requested to read a partial, but Laura and I had really hit it off and she seemed to really “get” my story, so—after some stalling—I worked up the courage to send some pages to her. Two weeks later she offered to represent me, and we spent another nine months or so revising the draft to get it ready to shop. And the rest, as they say, is history. 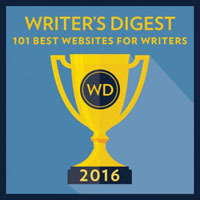 You’ve had the benefit of watching some of your friends, including your WriteOnCon co-founders, go through their debut as authors. What have you learned about marketing from their experiences and how has that shaped your own marketing plans? Ooo, that’s hard. The thing is, every book is different and every publisher is different, so it’s hard to say, “they did X so I should do X” because X may not be right for you or your book. Especially since I’m in the unique position of trying to launch two series in two age categories, six months apart, I’ve had to really rely on the brilliant people at S&S as far as what they think will work best. BUT, having writer friends who can help translate what certain things mean or explain how certain things will work has been priceless. I'm looking forward to watching what you do and learning from it. 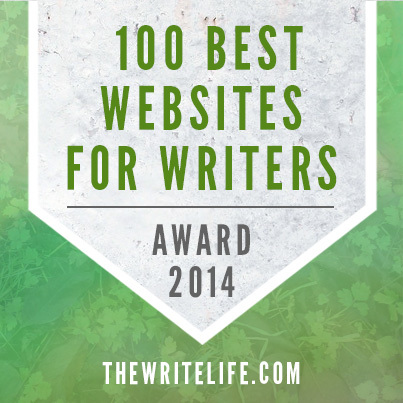 We all know that it’s harder to get buzz about middle grade books than YA books, especially in the blog world. What advice do you have for marketing a middle grade book and getting the word out? TRY NOT TO STRESS. I know that may not seem all that helpful, but trust me, it is. It’s so easy to feel like I NEED TO BE DOING ALL OF THE THINGS, but the fact of the matter is, it’s not that middle grade is HARDER. It’s that it’s slower. Most of the big middle grade series were not INSTA-SUCCESS stories. It takes time for teachers, librarians, and kids to find the book and fall in love and spread that love through word of mouth. So do as much as you have time for, and then don’t stress about the rest. The rest will come with time. Good to know that middle grade success usually take longer to get there. I didn't realize that. Okay, only one last question, promise. What are you working on now? You can find the links to Shannon's entire blog tour at Mundie Moms (a awesome book review blog that I highly recommend you follow here. 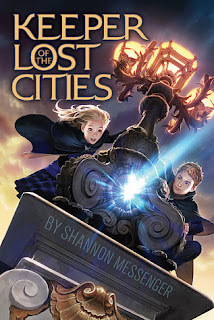 Shannon has generously offered a signed copy of KEEPER OF THE LOST CITIES for a giveaway. The contest runs through October 5th and Mundie Moms will notify the winners. Thursday I'll be doing a guest post at Adventures in YA and Children's Publishing on what I've learned about reading. Next Monday I'm helping Kiki Hamilton celebrate the release of THE TORN WING, the second book in her historical fantasy THE FAERIE RING series, with an interview and ARC giveaway. Then on Tuesday next week I'll be participating in Mike Mullin's blog tour to celebrate the release of ASHEN WINTER, Book 2 in THE ASHFALL Trilogy with an interview and ARC giveaway. It's a fantastic dystopian novel told from a male POV. Thanks for this terrific interview! Shannon, it's inspiring to hear your conviction about your stories. Love the cover. I know my daughter and I would both love to read this book, so I'm definitely entering the giveaway. 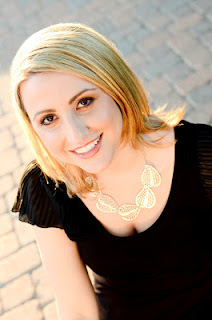 Shannon was one of the first amazing bloggers/writers I met when I entered the blogosphere. You can't get much better than Shannon. I'm thrilled for all her success! She deserves it. Great interview, with some inspirational tips. Congratulations to Shannon on a fantastic debut! Me too - This blog and Shannon's blog were the first ones I followed when I entered the blogosphere. I can't wait to share Keeper with my daughter! Thanks for the interview, Natalie. And I almost can't believe it's coming out tomorrow -- I feel like I've been following this for such a long time, and now, it's finally here! Congrats Shannon! I really love your cover and am inspired by all the time you took to build your world. Thanks for the tip on word count, and my Pooh sends his best to Ella! SO VERY EXCITED FOR SHANNON!!! I've pre-ordered a hardcover, so please don't enter me in the giveaway. I'm so excited to read Shannon's books. I've been following her for a while now, and she's great! Two years building Keeper's world. That's awesome. I am excited to read Shannon's book. Can't wait to read this book. Wonderful interview! Thanks. Congrats Shannon! I can't wait to meet you at Changing Hands Book store and get my shinny copy of this book. Every time I see this cover I'm enchanted. It just draws me into the story. I love that photo of you, Shan! Your hair is so funky with all the colors. I think your book sounds amazing. I also love that you shared your journey. I admire the tremendous hard work you put into it...super impressive and commendable! This book sounds amazing and I wish Shannon a Happy Book Birthday tomorrow! Thanks for the great interview! Thanks for the fantastic interview. That book sounds really interesting and I love the cover. I've already pre-orderd the book. And I don't read MG anymore. I'm hoping to read it to my 8 yo and get her excited about reading. Good luck, Shannon! 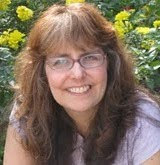 My books are science fiction, so I understand about the world building challenges. This is so exciting! Happy book birthday, Shannon!!! Great, great interview of someone who has done so much for the middle grade community. Thanks, Natalie!! I can't wait to share this book with my students!!!!! This is such a great post and giveaway. Congrats to Shannon! I cannot wait to get this book and start reading it. I learned so much about Shannon in the interview and her personality really came through. I preordered the book that comes out in March. I've been following Shannon's blog for a long time now and can't wait to read her book! This book sounds awesome. I am so impressed that you'd spend two years on worldbuilding. I wish you much success. Congrats Shannon, the story sounds amazing! I'm really looking forward to reading it and I haven't read an MG in ages. So excited to read this one!!! And what an interview. Great advice on the push beyond the initial idea. Such a great interview. You are such an inspiration, Shannon! Oh, yay! So excited for the giveaway and Shannon's book. Thanks for the fab interview :) And I do remember hearing somewhere that MG is more of a slow burn, whereas YA is a quick flame. I find that fascinating, and also a bit encouraging, that the success of a MG isn't determined within the first three months as in YA. What a great interview, congrats Sharon!! My email got messed up at the top it is julierupert@gmail.com. Great interview, Natalie and Shannon! Can't wait to read the book! Awesome interview. :) I loved the part about wishing you were as brave as your character...I definitely feel that way sometimes! I've heard such great things about this book. Wonderful interview, ladies, and thanks for the giveaway! This sounds a really interesting book (and the cover is completely awesome).